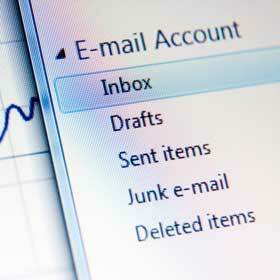 Which Email Marketing Metrics Do You Need To Be Tracking? Email marketing is still an incredibly powerful way to reach prospects and customers. However, if you aren’t tracking the important aspects of your email marketing campaign, you might as well be blindly sending out emails. You need to track important email marketing metrics so you can see how your campaign is performing, test different tweaks, and make more informed decisions. The good news is that with the right online CRM software, tracking the key metrics in your email marketing campaign is simple. You’ll have all the information you could ever want or need right there at your fingertips. So, with that in mind, what are they key email marketing metrics you need to track in your campaign? Open rate—How many people are actually opening your emails? This is just about the most important metric of them all. After all, if people aren’t opening your emails, your campaign stands no chance of being successful. Getting that open can be tough, so you have to track this metric carefully and make adjustments to your subject lines and approach as you go. With a good online CRM system that offers email marketing capabilities, you can easily track who is opening your emails and who isn’t. Bounce rate—Bounce rate is the percentage of emails that don’t get delivered to subscribers. Every email list will include a number of bad email addresses that don’t offer successful delivery. It’s always important to double-check your contacts’ information to make sure it is all correct. Bounce rate can also be helpful in maintaining and pruning your email list as you can remove email addresses that repeatedly bounce back. Clicks—Are the links and offers in your emails actually getting clicked? Which ones are getting the most clicks and which seem to be getting ignored? Remember, clicks are how you’ll likely be making your money. Your emails will be driving readers to landing pages with the ultimate goal of a revenue generating conversion. Tracking click-through rates is important so that you can adjust your linking and call to action strategy to generate the best possible results. Opt-outs—Over time, people will opt out of your email list. It’s unavoidable. And it’s okay – just so long as you don’t have an alarmingly high opt-out rate. If you start to notice a trend where more and more people are unsubscribing from your email list, you need to take a serious look at what might be the problem. Are you emailing too often? Not emailing enough? Are you giving your subscribers the information they want? Are your offers not appealing enough? Conversion rate—At the end of the day, it’s all about conversions. If you aren’t converting recipients into customers, your email marketing campaign isn’t doing its job. You may need to track conversion rate using your own website analytics program in conjunction with your online CRM software, but it’s key that you monitor this so you can see what visitors to your landing pages do once they arrive. By diligently tracking these key metrics and acting on the data, you can get better results from your email marketing. About the author: Craig Klein is CEO and Founder of Sales Nexus, a leading online CRM software provider for small businesses and sales teams. Craig’s a sales process guy. His passion is helping small businesses hire, train, measure and manage sales people through their entire sales process. Follow Craig on Twitter to keep in touch. Previous article: How Hiring A Business Coach Can Help You Rock Your Business!